August 2015 - Touch Display Research, Inc.
Dr. Jennifer Colegrove will be speaking at the upcoming International Display Manufacturing Conference (IDMC’15) about Organic Light Emitting Diode (OLED), and will visit companies in Taiwan. Here is the link to the conference. “I am honored to be invited and to deliver a presentation at the conference, and eager to meet companies and industry friends,” said Dr. Colegrove, CEO and Principal Analyst at Touch Display Research. 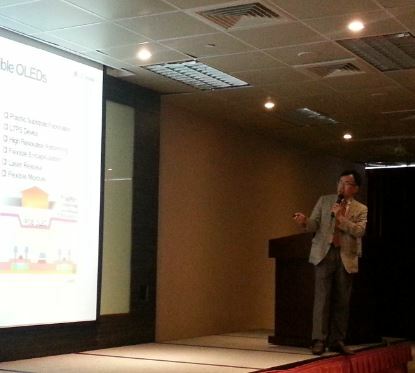 With LCD industry rejuvenated with quantum dot’s help and 4K 5K 8K high resolution, what is OLED industry’s future? In this presentation, Dr. Colegrove will discuss the opportunities and growth area in the OLED display and lighting industry. 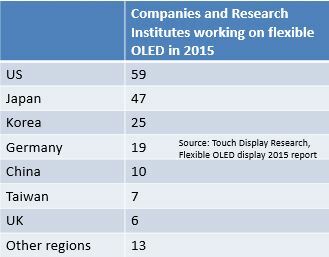 From OLED material, OLED barrier film to flexible/curved/foldable OLED, there are many opportunities and many challenges. Touch Display Research accurately forecasted the first flexible/curved AMOLED available time; and accurately forecasted Apple’s adoption of AMOLED 18 months before it happened; and accurately forecasted 4K OLED TV’s available time 2 years ahead. Dr. Colegrove will also provide the market forecast of the OLED display and OLED lighting from 2015 till 2025. This entry was posted in Displays on August 3, 2015 by jennycolegrove.